Whether pumpkin flavored or simply decorated to resemble this classic fall gourd, these recipes are sure to please. This is a guide about making pumpkin cupcakes. This is another family favorite. 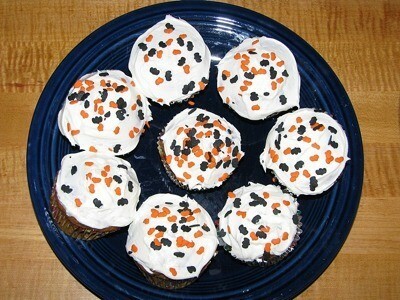 Two of my children have November birthdays, and one of them usually requests Pumpkin Cupcakes as their special treat. Easy and VERY good! Blend cake mix, pumpkin, eggs, oil, and water until moistened. Beat on medium for 2 minutes. Pour into muffin cups until 3/4 full. Bake at 350 degrees F for 16-21 minutes. Cool, frost, and decorate. Makes 18 cupcakes. Note: The decorations tend to dissolve if they are put on very far in advance. Add decorations right before serving. Anything with pumpkin cooked or baked into it ends up "history" around here. It's one of our favorite desserts. Haven't tried it this way though. Pumpkins are a big part of Halloween. 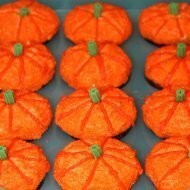 Cupcakes decorated as pumpkins are the perfect addition to any Halloween party. This is a guide about making pumpkin cupcakes. 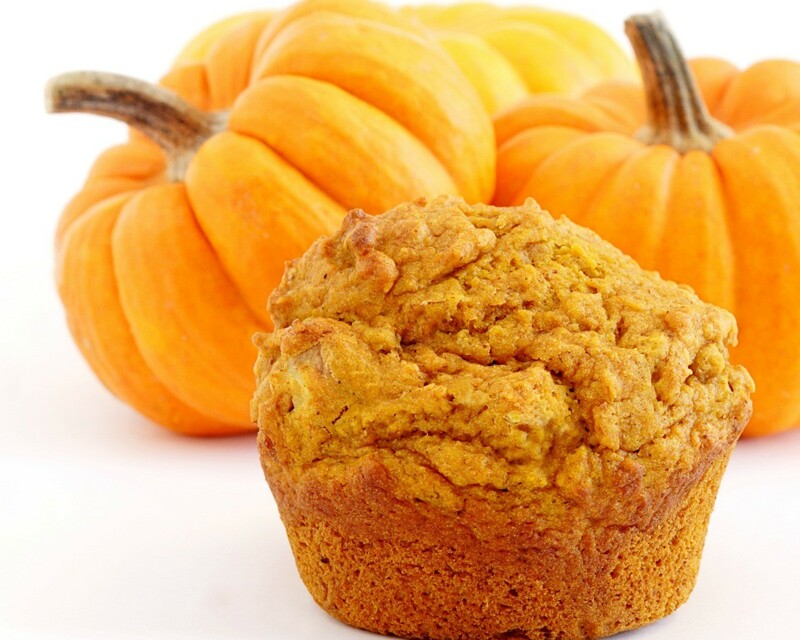 Moist cakes with spicy pumpkin flavor is a very, easy dessert to create. This page contains three ingredient pumpkin spice cupcakes.